Juli Photo Diary: The last week of the world! The last week of the world! Aunque no es seguro que este 21 de diciembre sea el ultimo dia de la humanidad, aprovecho para decirles que disfruten esta semana al maximo! If we die we die well-dressed at least! Awesome outfit! Me encanta tu propuesta Juli !!! Muy guapa! Preciosa siempre..me re gusto el blazer!! q guapa eres mi chica! Muy hermosa. Me encanta la chaqueta. You look amazing (but I'm mean really what's new right?)! 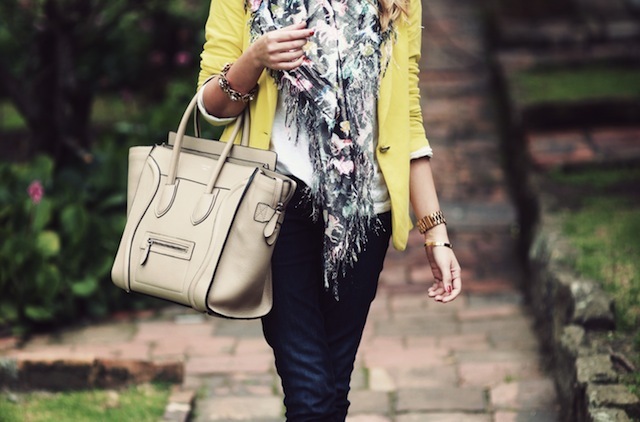 I love how you are rocking that Celine bag and I want that scarf! i love your bag! so pretty! I love this outfit for a day on the town. The colours are beautiful together. 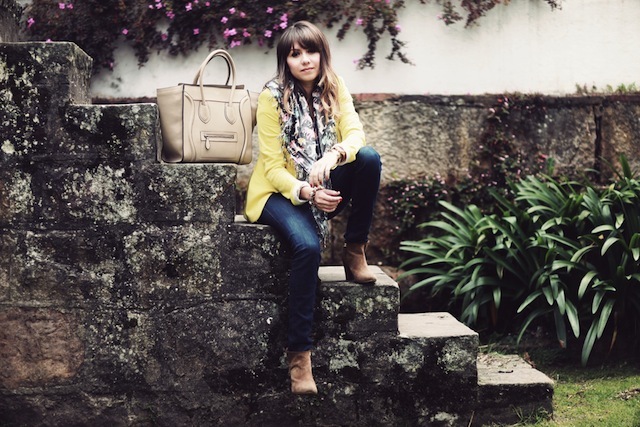 I love the colors in this outfit, especially the yellow blazer with the floral scarf! Pues en el improbable caso de que se terminara el mundo :), lo haces con un look muy chulo, me encanta el pañuelo.